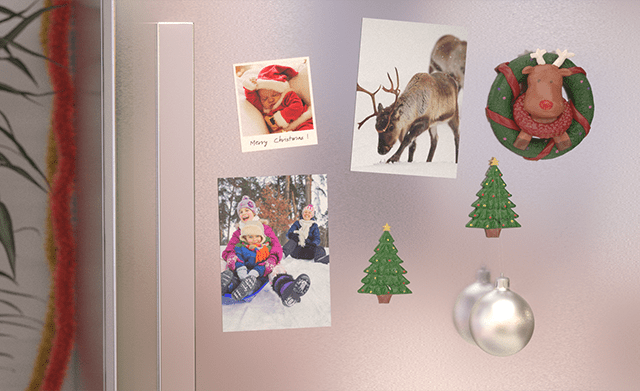 Share your most cherished moments from the year with friends and family this Christmas. Choose from a great range of Homeware, Accessories and Gifts to pop under the tree. We even have the Santa Sacks and Stockings to put them in! 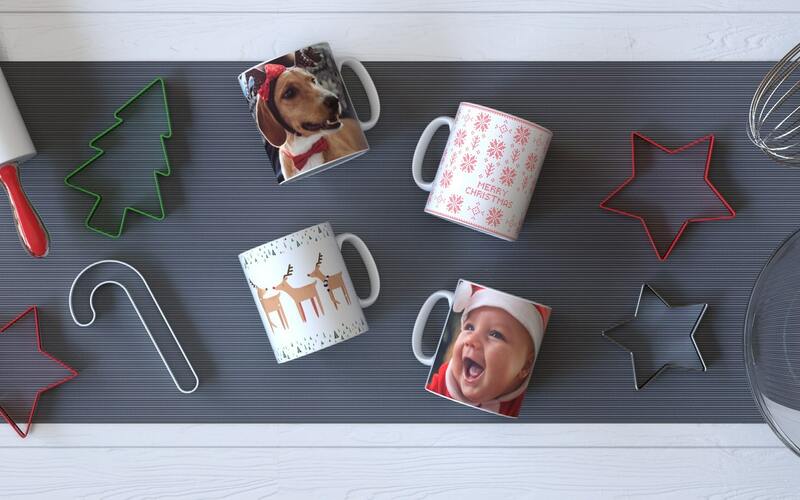 Add a little more festive cheer this Christmas with a personalised Christmas mug. Your loved one's warm beverage will taste even better from their own unique mug. They’re christmassy, cute and full of merry cheer. Get into the festive spirit early this Christmas, whilst doing your bit to help the environment. 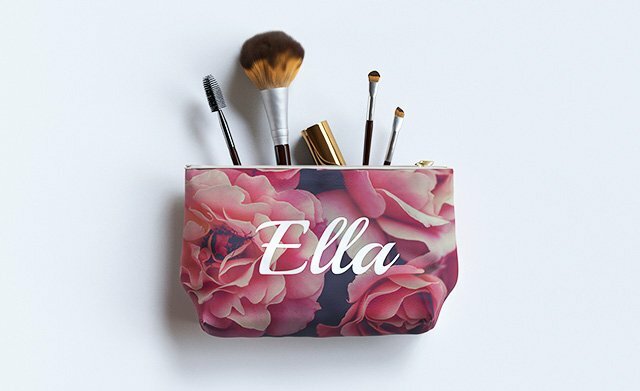 Choose a favourite photo and make a one-of-a-kind bag, personal to you. 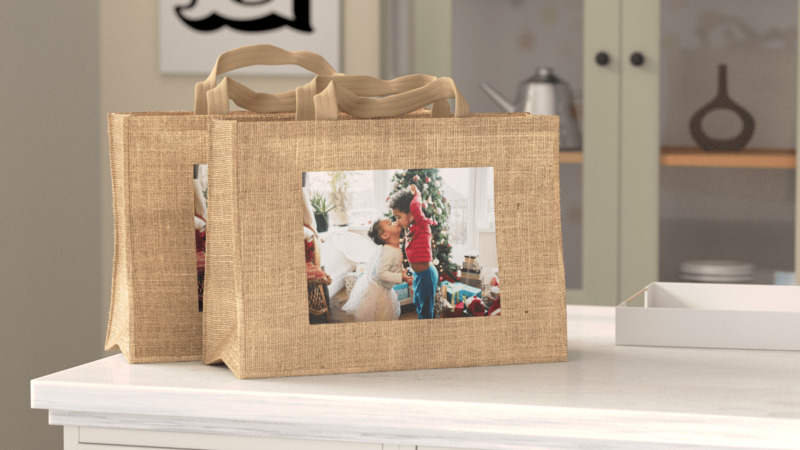 Strong and sturdy these bags can be used over and over again, making them perfect for filling with gifts or as a great addition to your Christmas shipping trips. 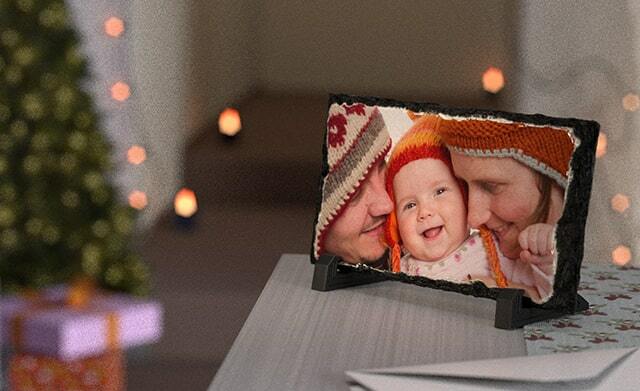 This holiday make a loved one's Christmas extra special, with a photo gift from the heart. 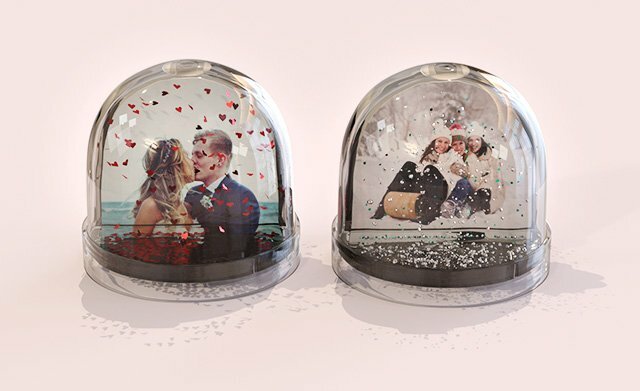 Our Personalised Christmas Gift range is full of inspiration to help you find the perfect presents for friends and family that are truly unique and will be cherished from the moment they open them. 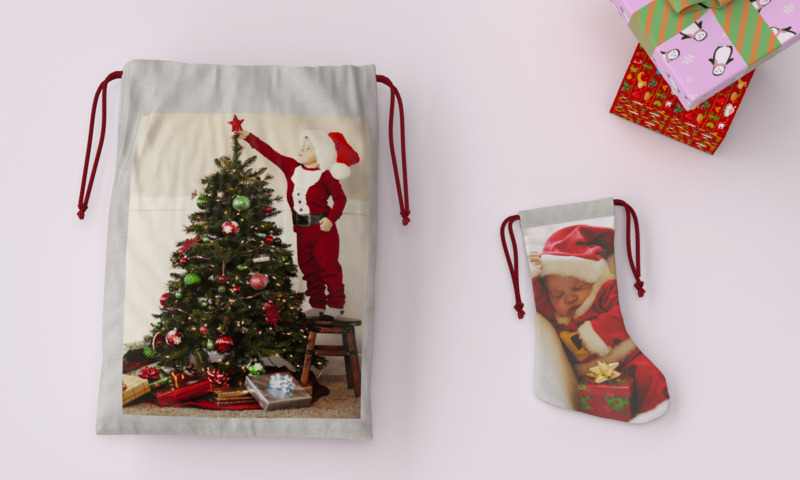 We have personalised Sacks and Stockings that are perfect for even the biggest kid! 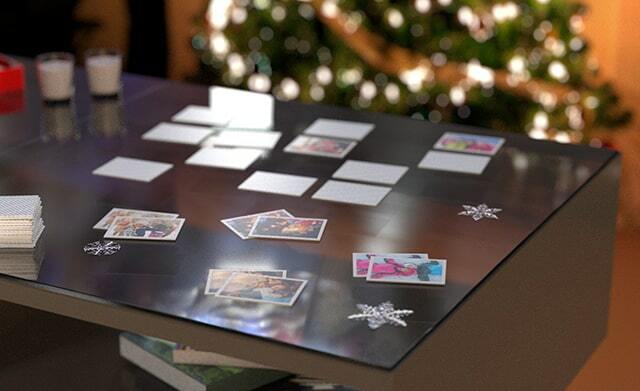 These make a great gift for the whole family which can be used and enjoyed year after year. 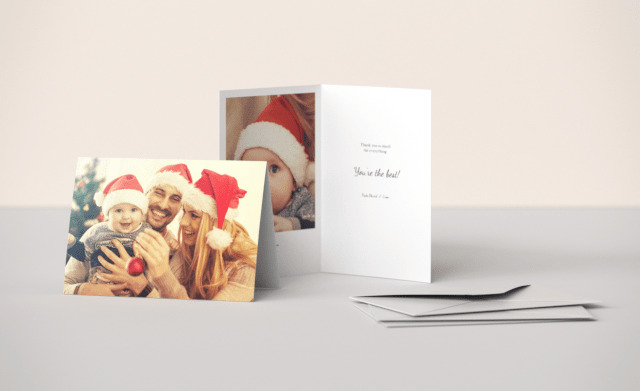 Spread the festive cheer with our photo Cards, they're a fantastic alternative to traditional Christmas Cards and guaranteed to ensure yours has that extra personal touch. 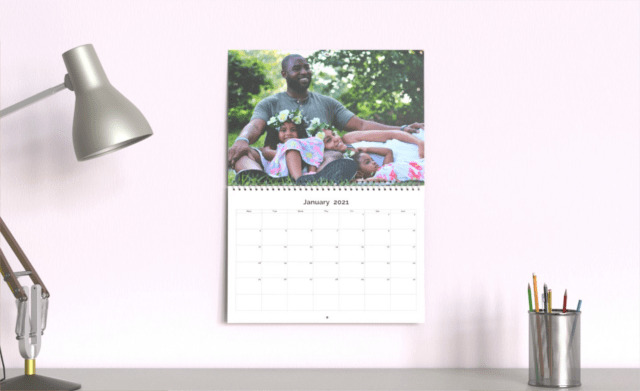 Why not give a gift that will add a touch of unique style and character to their home with our wide variety of personalised homeware, including photo Calendars, Photo Magnets and Slate Panels. 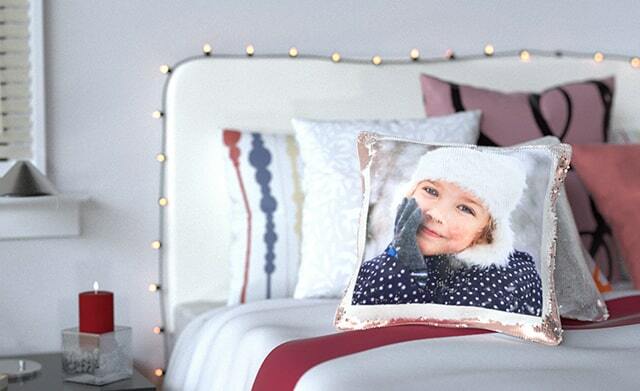 Our new Sequin Reveal Photo Cushions are the perfect option to add some sparkle and personality to a living room or a teenager's bedroom. 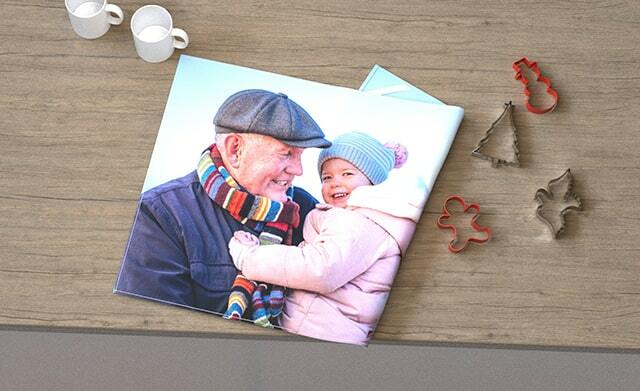 Whilst images of the grandchildren on our personalised Tea Towels are a sure hit with the Grandparents. From stocking fillers to unique gift ideas; whatever your budget, you'll find something that's one-of-a-kind for this festive season!